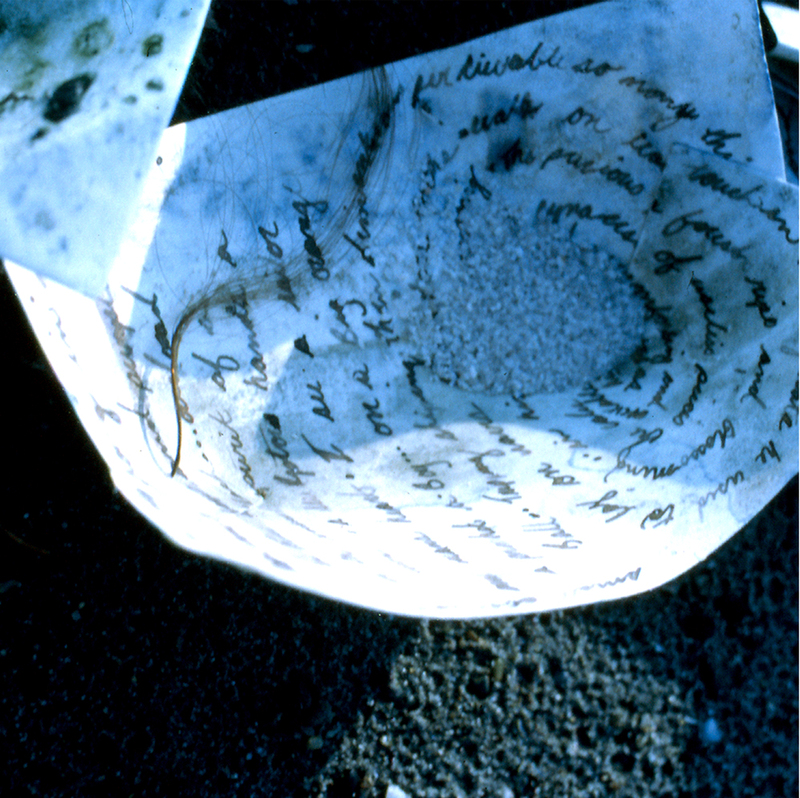 Relinquish was one of a series of rituals where my writing was cast into the ocean. The boats are dyed in algae collected from the site on Lanes Island, sewn together with my hair, and filled with a collection of journal entries spanning four years. The little boats were placed in the ocean at high tide and carried out to sea.